The best product which every self-respecting athlete must have. High quality with full absorption by the body, to achieve high results. L-glutamine is the most abundant amino acid in a nonessential human body and is one of the few that can directly pass through the blood-brain barrier. In the body it is located in the circulation, as well as stock in skeletal muscle. 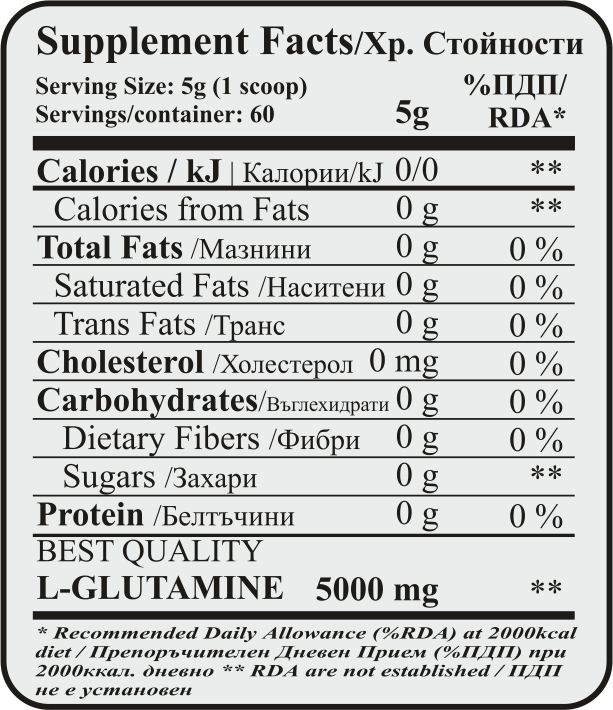 The amino acid is the best source for rapid muscle growth in athletes and body builders. There is evidence that when taken as a drink can increase the levels of HGH, by stimulating the pituitary gland. This is one of the most important amino acids for the human body, the muscles which recognize it as a source of energy and is absorbed by the cells. This ensures 100% muscle growth and build lean muscle mass. 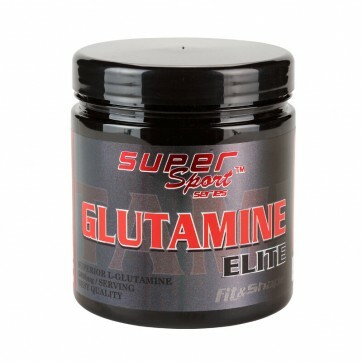 It is known as the king of sports supplements and is present in the daily diet of every self-respecting sportsman. DIRECTIONS OF USE: Helps for more energy when taken before a workout. Speeds up recovery after exercise and promotes muscle growth. Can be taken any time during the day. For best results take one dose before and one dose after exercise.